Bet you wish you'd picked some up in the 80s eh? On the back of the recent announcement of the iPhone 5 (which in turn led to an eye-watering 2-million pre-orders for the latest edition of the best-selling device), those lucky enough to be Apple shareholders are now effectively owners of a $700 bill. As reported by MacWorld, Apple's stock was just shy of the extraordinary figure at the close of trading ($699.78), but soon passed the new milestone after extended trading. 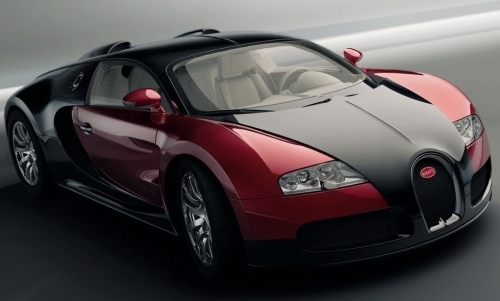 Apple as a whole is now worth more than $656bn which, if you were wondering, would allow you to buy more than a quarter of a million units of the world's most expensive car, the Bugatti Veyron Super Sports. The new iPhone was revealed to an enthusiastic response just under a week ago, and the new hardware begins shipping on September 21st . Have you pre-ordered the new hardware? Do you think it's time for Apple to truly innovate with a brand new device? Let us know in the comments section below.